Halloween was my favorite holiday as a child, because of the candy, not the costumes or any of the scary stuff. I was the wimpiest kid alive when it came to scary stuff, especially haunted houses. You could not get me into a haunted house no matter how much candy I was bribed with. That’s funny, though, because now my favorite TV show is the Travel Chanel’s Ghost Adventures! 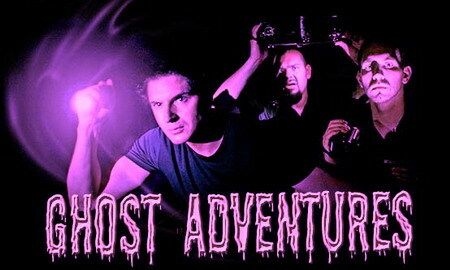 It’s a lot of fun watching Nick, Aaron and Zak act like a bunch of kids in haunted houses with cameras (which is as close as I will get to a haunted house)! Ah, I envy them – not! But, it is fun to watch them cut up and have some fun, even if I am a skeptic (at least, I want to be a skeptic). More specifically, do you believe kids with ADHD are more susceptible to seeing stuff that seems paranormal? I ask, because when I was a kid I had several times when I thought I saw something in my childhood room (but only in that room). I once thought I saw a hole open up in the wall opposite my bed and an Alien face was looking at me through it (it even blinked knowingly at me) and another time when I thought I saw an apparition standing in the corner of my room. In both cases I believe it was my eyes playing tricks on me in the dark. Along with my creative imagination and my total fear of the dark (as a child) – BOO! – there be ghosts! In my opinion a child’s ADHD distracted mind, their sensitive nature, along with the amazing gift of mental creativity, mixed with daily struggles and fears – there’s one heck of a mix for seeing and hearing things at night. Were those footsteps? But, I have to wonder, do we simply write off ‘paranormal’ experiences as the ADHD mind playing tricks – by using darkness, shadows and the overly creative nature of ADHD, or: do people with ADHD have a higher propensity for seeing, hearing or feeling the paranormal? Oh, gosh… I’ve got goose bumps! This is an edit: Because of several emails and the detailed comments, I seem to have miss-wrote myself: I personally am a skeptic, but lean towards believing. However, with that said, I do not believe ADHD gives us an ability to see, feel or hear ghosts, but that’s me. You might believe otherwise. What I mean was since children (even adults with ADHD) tend to be creative, are easily distracted, and many of us are sensitive going through a lot of stress, could it be that certain things as children we identify too quickly as something otherworldly? I am not saying the paranormal does not exist, but since we are distracted by shiny things perhaps we see things in the corner of our eyes quicker than others? More importantly though, this post is entertainment for a thought provoking, spooky Halloween. BOOO!